Monrovia Now: News and Comment about Monrovia, California: Monrovia Council Plans Old Town Parking Structures; Cafe at the Library? Etc. Monrovia Council Plans Old Town Parking Structures; Cafe at the Library? Etc. 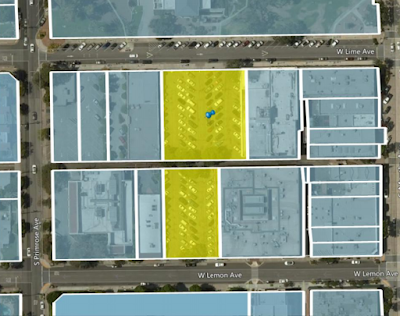 Proposed location of parking structure, between Lemon and Lime just south of the Library. 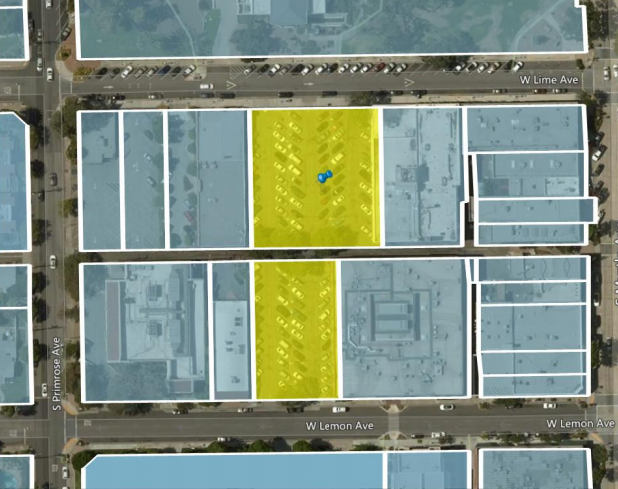 ~ Hold a public hearing to discuss vacating the eastern half of the alley that goes west from Myrtle to Primrose between Chestnut and Walnut to secure enough land to build a parking structure. https://goo.gl/WjYJfQ. Comment: As this appears to be a different location from the previous parking structure item, it is apparently a different parking structure. ~ Consider the Library's proposed strategic plan ( https://goo.gl/4cU79N ), which includes the possibility of a library cafe, better wifi (needed! ), and revised library hours.